Discover when your child’s smile might benefit from a dental crown. We all want to ensure that our children’s smiles remain healthy and problem-free. Unfortunately, sometimes accidents or issues happen that you couldn’t have foreseen. Luckily, you have our Clackamas, OR, pediatric dentist, Dr. David Doyle, by you and your little one’s side to provide the restorative dentistry they need whenever they need it. Most people know what a dental crown is but not everyone understands the purpose of one. This tooth-shaped hollow cap is designed to fit over a tooth and its purpose is to become the new outer layer for a damaged or weakened tooth; however, when it comes to pediatric dentistry a dental crown may also be placed over baby teeth. Baby teeth, just like permanent teeth, can also become damaged by decay or injury, causing them to weaken, chip or crack. Not only does this affect the overall shape of the tooth, which can be aesthetic unpleasing, but it can also affect how well the tooth functions. To prevent further issues from happening to your child’s tooth, our Clackamas children’s dentist will recommend placing a dental crown. Why does my child need a dental crown? The enamel of baby teeth is not as thick as permanent teeth, which means that it’s easier for children to develop decay and for it to spread quickly. By removing the decay and placing a crown we can also prevent the decay from causing infection or affecting the rest of your child’s smile. 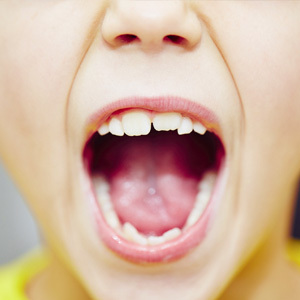 Damaged teeth can affect the way a child speaks or eats. To prevent speech impediments and nutritional deficiencies we will place a crown over these teeth to restore the tooth to facilitate proper speech development and so that your little one can eat all foods with ease. Sunnyside Dentistry for Children in Clackamas, OR, is here to make sure that every child gets the dental care they need. No matter whether you just need to schedule a routine checkup or you have questions about the pediatric dental services we offer, don’t hesitate to call our office today to learn more.